I wish I liked this humbly priced drugstore lipstick a bit better, because the color is stunning. Some even say it is a nice alternative to MAC Lady Danger. 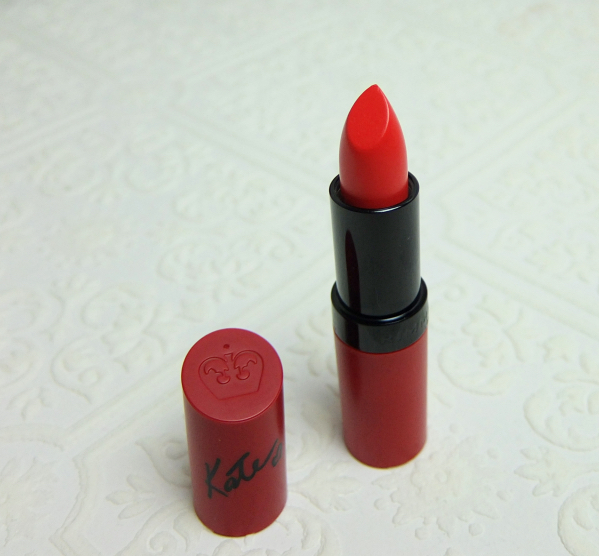 Rimmel Lasting Finish by Kate Lipstick in 110 is a gorgeous orange tinged red that turns heads. The formula, however, leaves much to be desired. It does not seem much different from the matte lipsticks I experienced 10 years ago - thick, dry, and crackly in the end. A little while ago, I had a blush serendipity when Larie of Eye Heart It was having a blogsale. 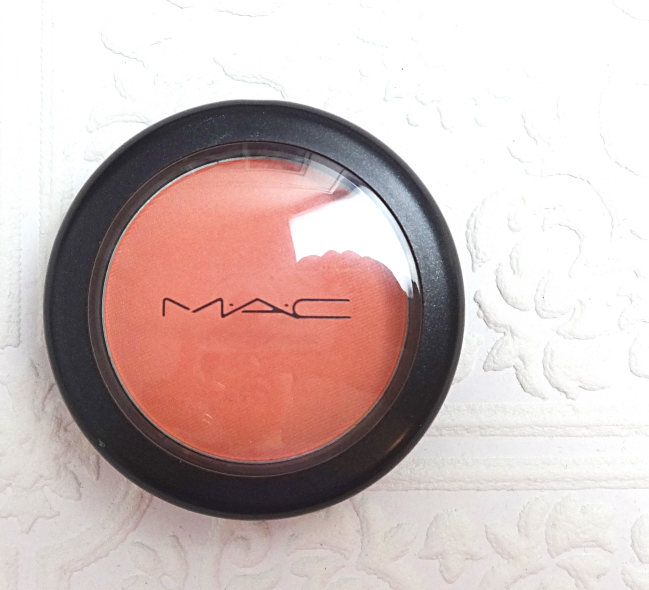 I don't really follow MAC releases so I did not even know MAC Powder Blush Honey Jasmine was a hard-to-find LE from the All About Orange 2013 collection. The timing couldn't have been more perfect because I just became interested in this warm vivid color group. Having an orange lipstick requires corresponding things like an orange blush. Naturally. 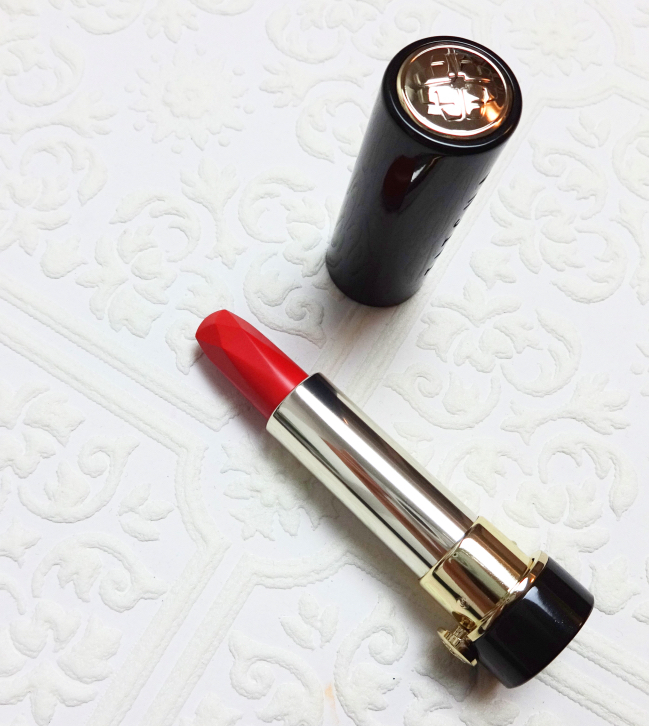 After a long wait, the most gorgeous red lipstick made its way home to me. Tatcha Kyoto Red Silk Lipstick is rather imperial. It is perfect inside and out. Since this is a limited edition and my understanding is that only a small number of them were produced, you might want to grab one before it's too late. It is still available online. It is $55 a piece (a very heavy piece or art, by the way), but let me just say this is much nicer than any high-end lipstick I've ever experienced. I didn't even have to justify my purchase. This lipstick makes me happy. 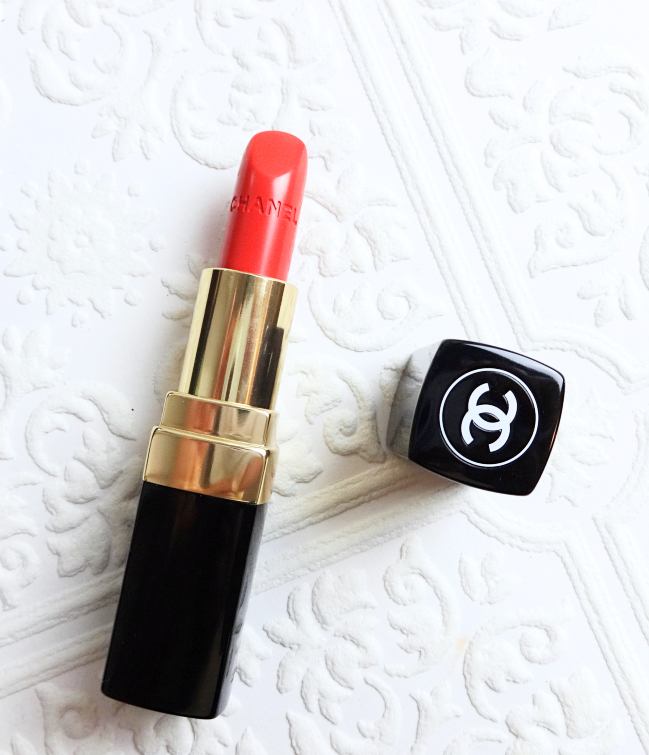 So I bought a piece from the reformulated Chanel Rouge Coco range, and I went the other way this time : Orange. I tend to go for a safe pinkish color when it comes to a higher-end lippie purchase, but this spring I am coveting all things coral and orange. Maybe it is the unbelievably long winter that still seems to be ongoing. I never thought I'd be talking about weather so much, but there isn't any sign of green or flowers although we're now well into April. I need some warmth! 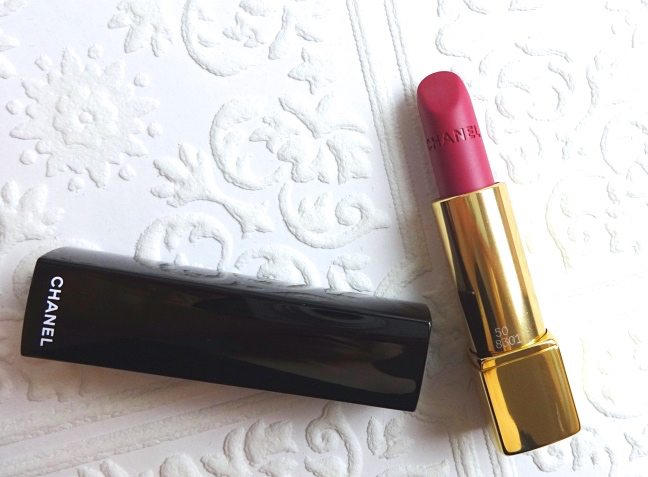 Well, Chanel Rouge Coco Ultra Hydrating Lip Colour Coco is warm, refined, and edgy. I really like it and even reach for it quite often that I myself am happily surprised. Remember when I was complaining that L'Oreal Balm Pop isn't balmy enough? So I went ahead and ordered a Lancôme Baume In Love hoping to fix the iffy situation. In a sane world, a tinted lip balm should be sheer, balmy, and tender on lips, don't you think? 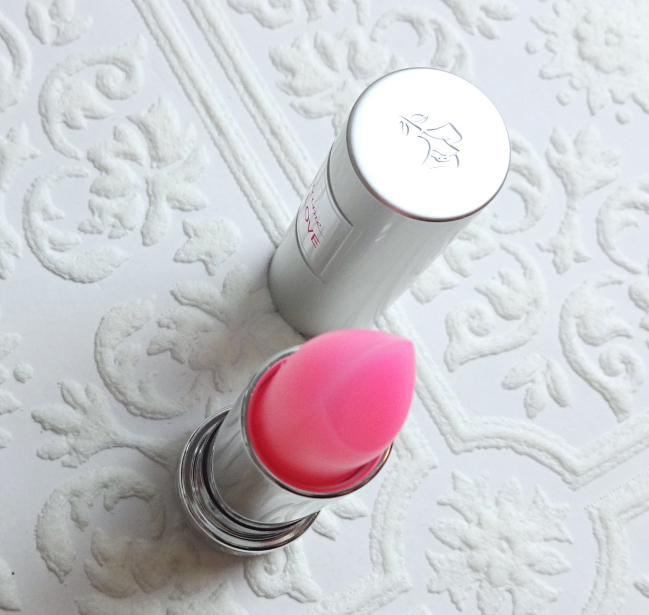 Let's just say Lancôme Baume In Love has brought the balance back to my cosmetic world and to my lips, and I love it. I use cleansing oil and bi-phased eye makeup remover for my daily makeup removal, so I can't say cleansing cloths are essential for that. Still, I need some sort of wipes, and quite frequently, too. I don't know about you, but I use a wipe to cleanse my neck on a day I don't take a shower at night. Although I find splashing soapy water on my neck is cumbersome if not in a shower, I still feel that my neck needs something. A baby wipe followed by a toner-soaked cotton pad usually is up for the task. 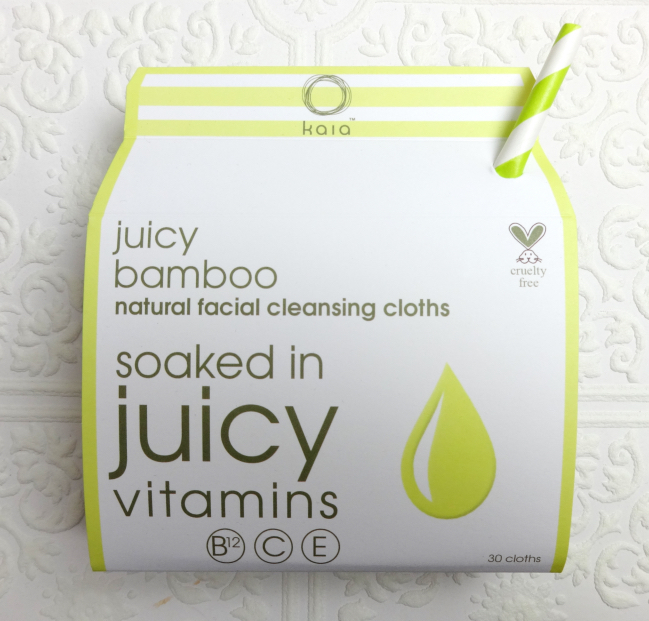 So naturally, I thought about my neck (rather than my face) when I had an opportunity to try Juicy Bamboo Natural Facial Cleansing Cloths which are infused with vitamins and double as toner.